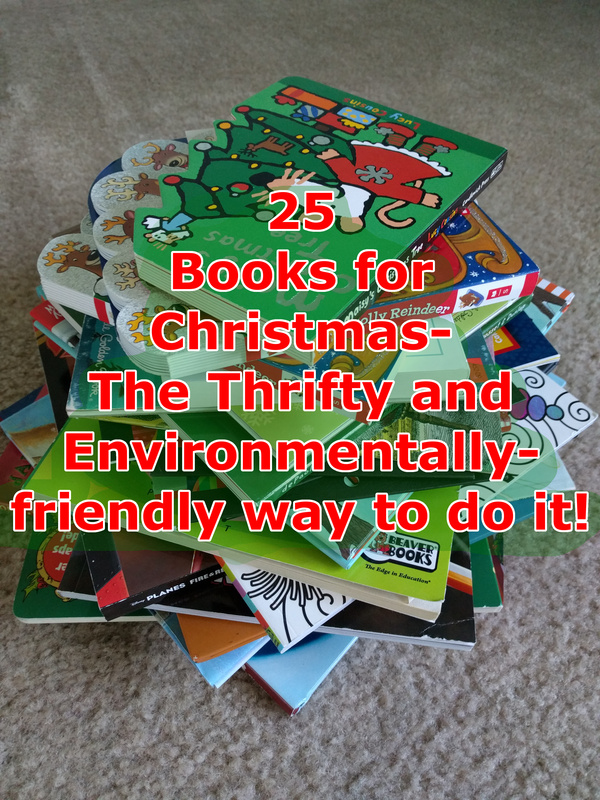 As a huge book lover, I adored the idea of 25 books for Christmas as a way to make the season magical and increase interest in books. If you don’t celebrate Christmas, you can use it for other holiday celebrations or just do it for the month of December (31 books). At the same time, as a thrifty and environmentally-conscious mom, the idea of purchasing of 25 (50 for my twins!) books each year and wrapping them individually seemed a bit much. 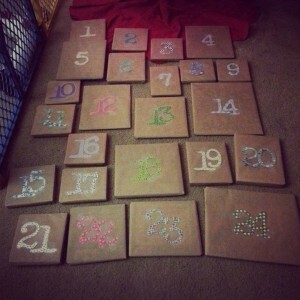 Luckily, there are lots of ways you can make this custom your own without spending a lot of money or using a lot of wrapping paper. 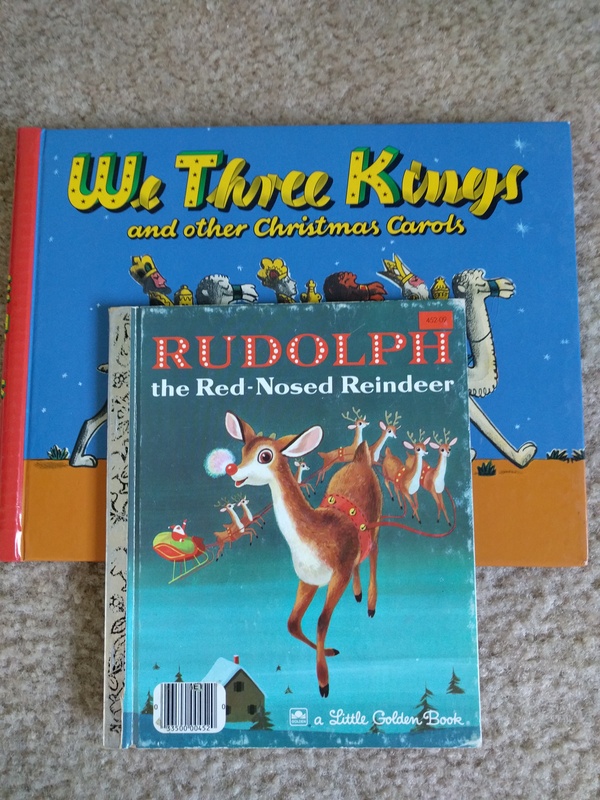 At the end of the Christmas season, I pack up our winter, Christmas, and Hanukkah themed books to go to storage with our holiday decorations. After Thanksgiving, I pull out the books and go through any my boys have outgrown to take to a used book store and exchange them for credit that I can use after Christmas to purchase books on discount for the next year. Not only does this cut down the expense of the books but it’s also a great way to honor books that have been passed down in the family. Being stored for 11 months out of the year means that these books are less likely to be damaged or lost. Books that my husband owned as a child. 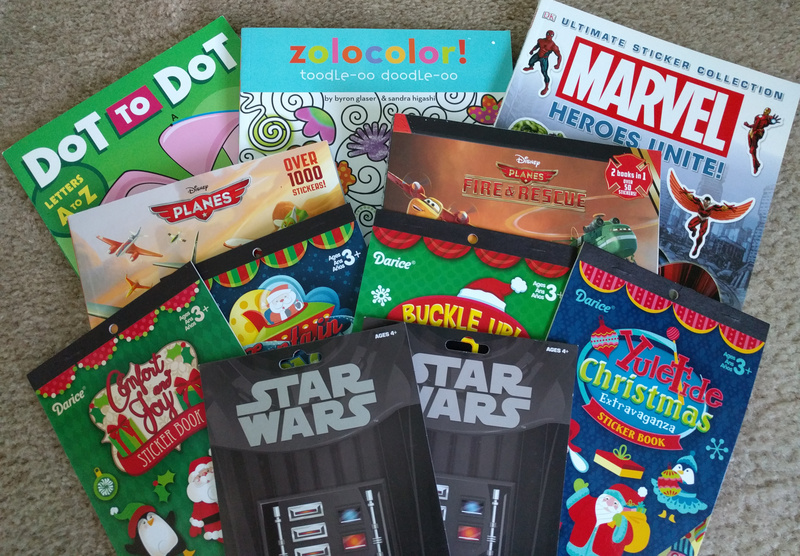 As I build my Christmas collection, I’ve been supplementing with other types of books my toddlers enjoy including sticker, drawing, and activity books. The Christmas-themed sticker and activity books often go on sale after Christmas at craft stores. With a lot of children, even the most frugal purchasing options can get a bit pricey and your collection can get too big to store easily. 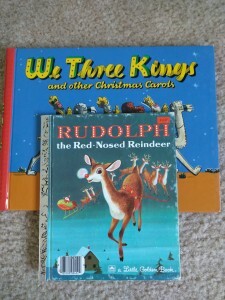 The library is a great way to try out various books for the Christmas season or supplement your collection. 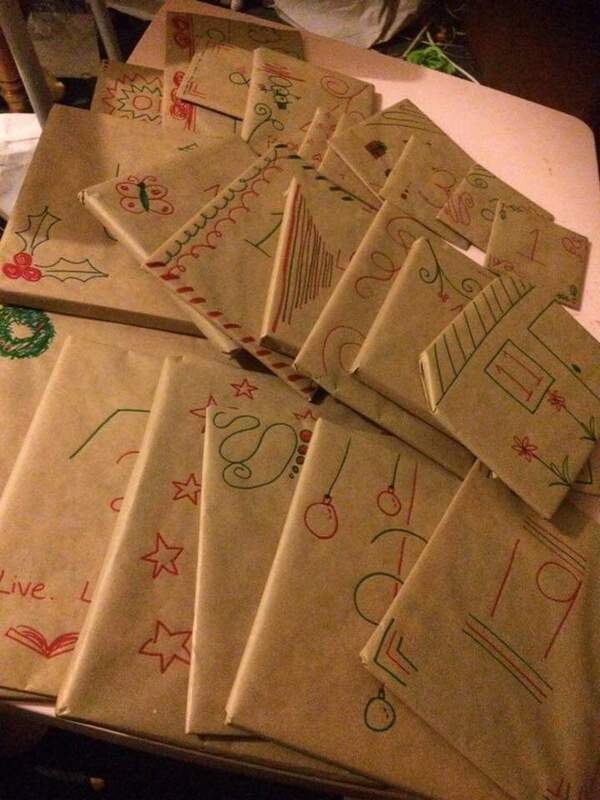 Some people use paper bags, cloth, or butcher paper they decorate. I love how creative you can get with simple brown paper! Makes me wish I was more artistically inclined. I use these reusable shopping bags. Every night I set the books for tomorrow under the tree. 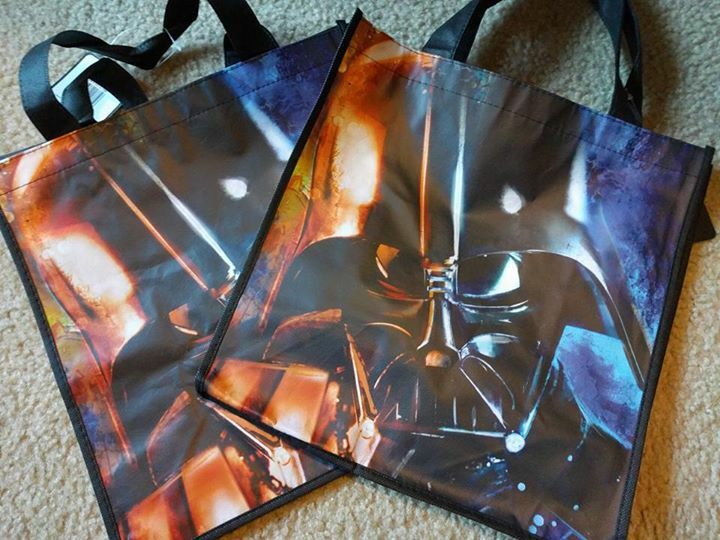 After the holiday season, I can use the bags for all sorts of things – a way to transport items to the boys’ school, expanding freezer space, shopping bags, quick-grab bags for the car, etc. Or I can just pack them up for next year. 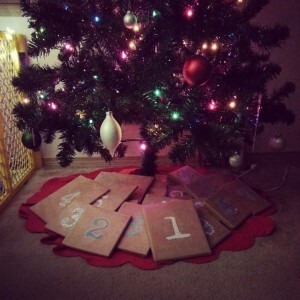 Do you do the book gift tradition for the holiday? How do you save money? Thanks to Jess Clark and Jasmine Restall for the ideas and pictures! You can visit Jess’s Etsy page here or her facebook page here for cute, handmade little items. Jasmine has a neat blog featureing allergy aware recipes.